Close up portrait of a cat. Cats can hear sounds too faint or too high in frequency for human ears, such as those made by mice and other small animals. They can see in near darkness. Like most other mammals, cats have poorer color vision and a better sense of smell than humans. 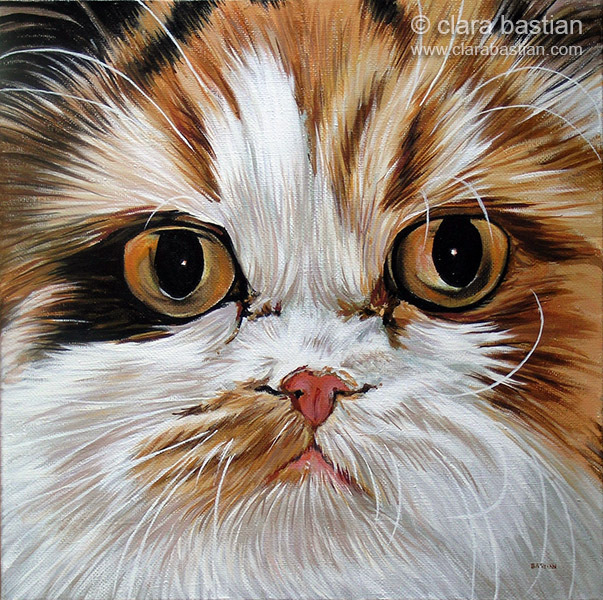 And if you are interested in commissioning a painting of your own cat, please let me know.